The information presented on this page was originally released on April 29, 2004. It may not be outdated, but please search our site for more current information. If you plan to quote or reference this information in a publication, please check with the Extension specialist or author before proceeding. Magilla Perilla had everyone paying homage last year, but by the end of this summer or next year depending on supplies, Kong coleus will likely be the new reigning king. If you had asked me about coleus five years ago, I would have predicted its day of popularity was over. Now I have changed my mind. I don't think demands for coleus ever will diminish. There are too many colors with incredible patterns. Partner this beauty with toughness and the coleus is just too good a plant to go away. 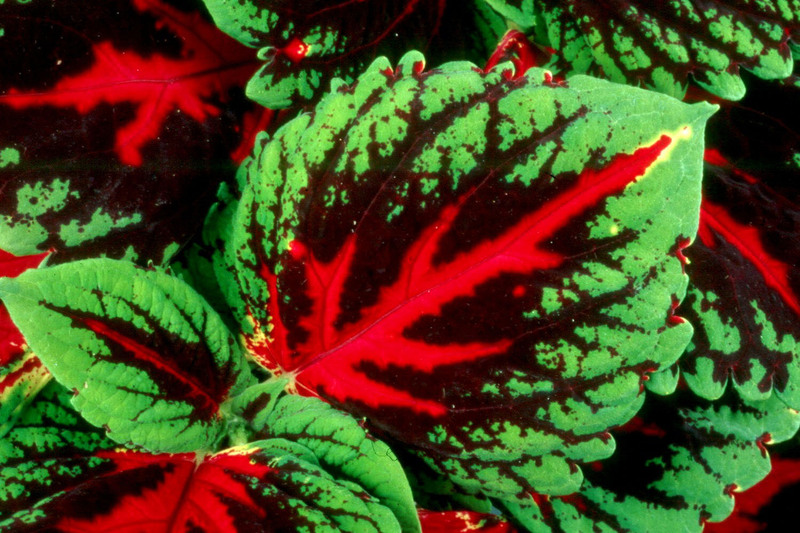 Coleus' popularity could have ended with the Solar series, but then Ecke Ranch in California introduced their Stained Glassworks series with great varieties like Kiwi Fern and Tilt-a-Whirl. Now Pan American and Ball are introducing the Kong series. The Kong series may indeed earn the word "king" in front of it because this will be a large plant. Would you believe one leaf is large enough to cover your face? 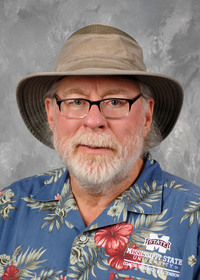 The Kong series won't thrive in the sun like the Mississippi Medallion award-winning Mississippi Summer, but it will add razzle-dazzle to the shade garden. Kong will be available in red, scarlet, rose and mosaic (multicolored) varieties. Please don't go to the garden center this weekend to look for Kong. Go and buy some of the other great varieties. Let your garden center staff know you are aware that Kong is being released in May and that they should do their part to get you some as soon as possible. On the outside chance you haven't tried coleus in the landscape, you need to know this plant can take the summer-long heat and humidity and will still be putting on a show in August. Coleuses are easy-to-grow, low-maintenance plants that are almost foolproof when grown in well-drained soil and watered through droughty periods. They are also excellent in baskets, especially when grown in combination with a vining or cascading plant. Since we grow coleus for the boldly colored foliage, there is no point in letting them use energy developing flowers. Pinch these off, and you will help develop a bushy plant. You can plant coleus now for months of enjoyment before frost. One key to success with coleus is adding organic matter to improve bedding soil. If you have heavy clay soil, organic matter will improve drainage and aeration and allow better root development. Liberal amounts of organic matter help sandy soils hold water and nutrients. Organic matter, which improves soil and serves as a food source for soil fungi and bacteria, comes in the form of peat moss, compost, hay, grass clippings, barnyard fertilizer, shredded bark, leaves or even shredded newspapers. Add enough to physically change the soil structure. Ideally, at least one-third of the final soil mix should be some type of organic material. To accomplish this, spread 2 to 4 inches of organic matter over the garden surface and till to a depth of 6 to 10 inches. Apply the recommended rate of fertilizer over the garden surface at the same time. My favorite fertilizer for coleus is a 12-6-6. A pre-plant fertilizer followed by light monthly applications will keep your plants growing well. Coleuses are easy to propagate by cutting and can be grown indoors in a brightly lighted area during the winter. I promise if you haven't looked at coleus lately you will be shocked at the number of new selections. Why not shop this weekend?